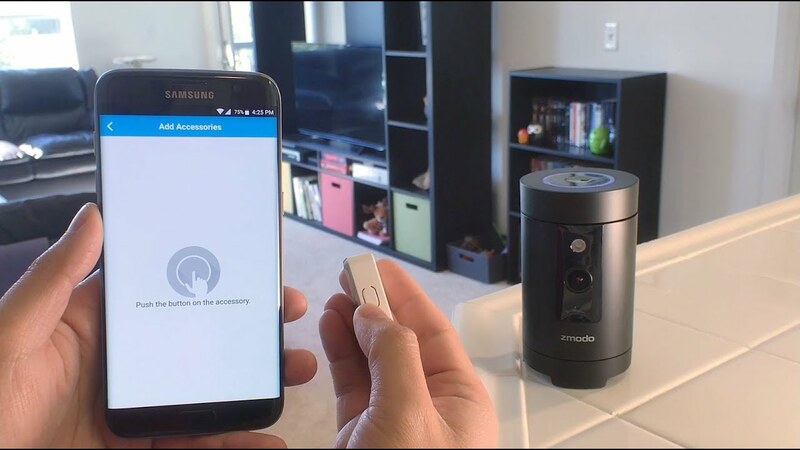 The Pivot by Zmodo is a feature rich security system. This 1080p network camera can rotate for a full 360 degree view. It is a smart hub for other Zmodo products including the bonus window or door sensors, can share temperature and humidity readings of room, and features a built-in speaker for music playback. Pivot is a hub for connecting other smart devices. Check if doors and windows are open, monitor air quality, and control your Alexa, Google Home, and other Zmodo smart products. Pivot has a sharp 1080p Full HD camera with 135-degree field of view, which can be panned 350 degrees in the app for a full 360 degree coverage. It can also be configured to rotate to an opened door or window when a sensor has been triggered. With the built-in anti-noise microphone and loudspeaker, you can stay connected with the ones you love when you’re not at home, or play a lullaby through the built-in Bluetooth speaker for your napping baby. It also features internal 16GB of storage as well as 36 hours of free Zmodo cloud storage, and intelligent alerts through Zmodo’s free app.